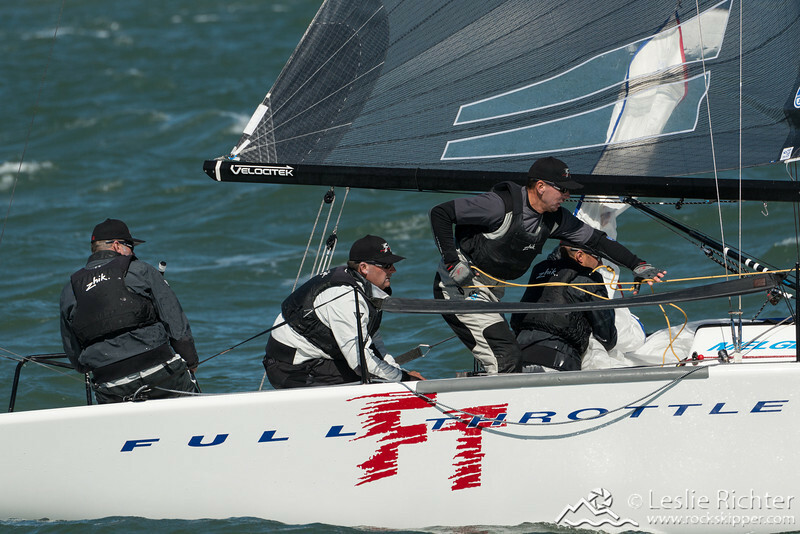 Images from the second day of the Sperry Top-Sider Melges 24 World Championship on San Francsico Bay, hosted by SFYC. This is just a subset of the images from the day -- I tried to capture all the boats, so if you're looking for a particular boat, please contact me at leslie at rockskipper.com with the sail and bow numbers, and I'll search for other images. Digital downloads, prints and other items may be ordered directly from this site. Please contact me for custom large format prints, black and white prints (these boats lend themselves to stunning black and white prints), custom posters or other projects.